Today, around 12 noon my time, the internet connection died. It was fixed almost after 9 hours. Not a good way to start, I tell you that. And unfortunatelly I did not have time to setup a failsafe DNS configuration so that it would use my old ISP. but I wil do it tomorrow 😀 I don’t think I’ll have enough time for it today. Today I started the actual migration of the Delphi Section. Because the site is hand made I cannot write a script to do the migration which is why I am doing it manually and thus it will take some time. After the Delphi section there are still some other sections that need to be migrated before I will go live. And part of the migration is to set up 301 redirects for each file. Now this is going to be a real pain. See below the speedtests for my old ISP and new ISP. I already written 2 scripts that allow me to change from one connection to the other. 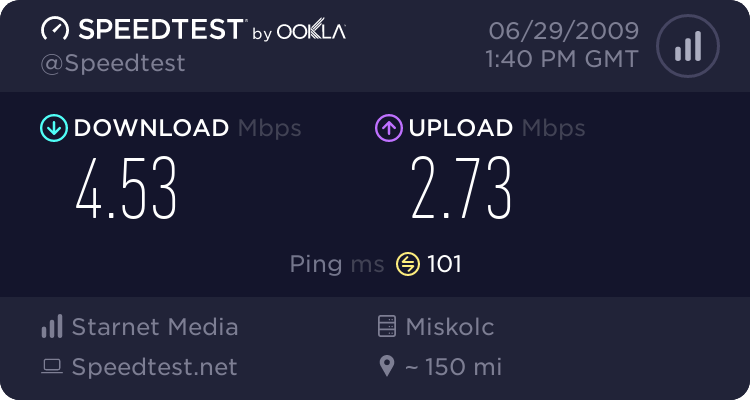 The next step is to write a script, conjobed, that will check for internet on main connection (new ISP), switch to secondary (old ISP) if failed, and then switch back to main when it’s back. 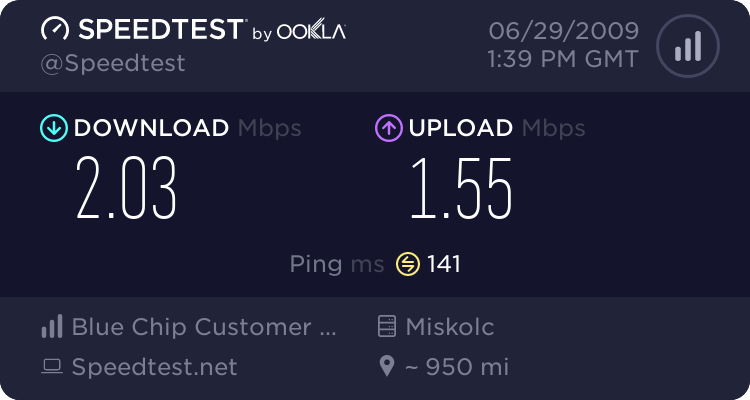 Yesterday I got connected to my new ISP. Today, I installed my 3rd network card into my linux server and made the connections. Everything works fine. And the next step after that will be to set up DNS servers that will switch from one ISP to the other AND to my backup server which is already running in another location somewhere. Rene got his plugin fixed so all is cool now. I decide a while ago that I need to change my attitude, lose my dream of creating a CMS in C interfacing as CGI/SSI and get my site out nice and clean like everybody else. So after comparing reviews and recommendations, I got stuck with joomla. Now, I don’t know about you technical guys, but I find joomla very … weak. For one, it does not support sub-categories. you have a section and a category and that’s about it. In my case, I have a lot o sub-categories. So this called for a plugin (not yet installed). What really pissed me of is that my main page (now) has a very nice image-only horizontal and a vertical menu. I used gimp to create the images which look very nice compared to what my site actually looks like 🙂 So I spent the ENTIRE day trying to figure out how in the name of God I can create an image only menu in joompla. Fact is, I tried a lot of stuff, including the core menu functions, nothing worked. I even installed a plugin called simplelists but to no avail. As of this writing, that guy has not yet replied to my inquiry, BUT, being a genius that I am ( 😀 ), I discovered something very amazing: RAW Html module. Yeah, I get to place whatever html code I want wherever I want it. This is pretty neat because I just copy-pasted my menu code andvoila, it’s up and running. It’s that simple. Whoe the hell need extensions andstuff when you can have your own custom html wherever?! You have some html/js/css code you need to migrate and there is no apparent way to do it? Raw html. Who said life is not easy? 🙂 All we need now is multilevel categories and I could say that all is ok. I just installed 2 auto tweeter plugins, one of them is working, the otehr is not 🙂 This basically means that from now on all my posts will get published to tweeter. Unfortunatelly, the plugin that did work, is pretty simple and does not have too much options. I hope I’ll be able to get the other one running. The FTP settings are not valid or your FTP server is not compatible with Joomla! : The function “STOR” failed. I tried most of the suggestions in some of the topic from the joomla forum, but to no avail. Including but not limited to iptables configuration, ftp configurations, etc. Finally, I figured to chown the files and folders to the ftp user. That solved my problem. You are currently browsing the Ciuly's Blog - Reinventing the wheel blog archives for June, 2009.